Hey all! 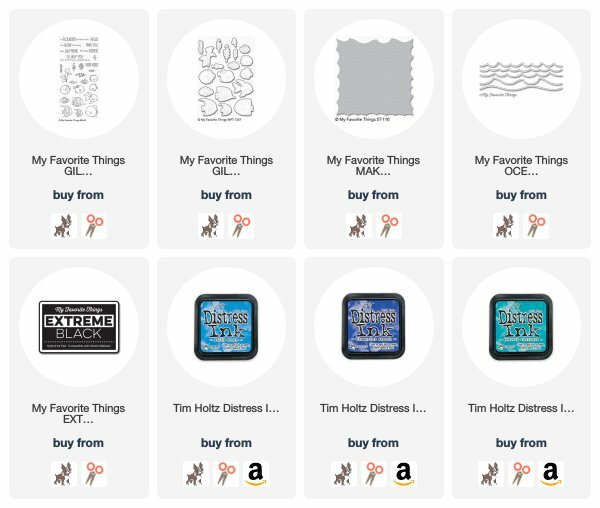 Today I am playing along with My Favorite Things sketch challenge, sketch #390! I coloured up the fish with my copics, then created a mask with the wave die, then used the new wave stencil to create the background. The sentiment banner finished off the sketch and the front of this card! Hey all! Today I have a fun card featuring The Greeting Farm Rockstar Anya 2! Hey all! I am still playing along with Kathy Racoosins 30 day colouring challenge. But for today I am also doing the My Favorite Things Sketch Challenge, sketch 389! I coloured up the images with my copic markers, then created the background with distress inks. A super simple card! Hey all! Welcome back to the Kraftin’ Kimmie Stamps new release blog hop! All 4 of the new stamp sets, Cute as can Bee, Sassy Sophie, Melody Mermaid, and From the Otter Side, are now available in the new release section! We also have two new awesome ink colours available to get your hands on! Marvellous Mocha and Yummy Yellow! And I love the, bonus is you can use the brown for copic colouring for softer looking stamped lines. 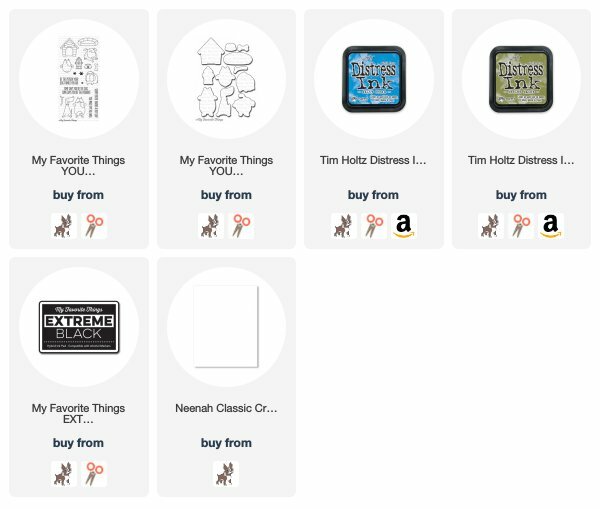 Hop around our blogs today to see ALL the new stamp sets in action!! Then head on over to the shop because ALL the new stamp sets AND Hybrid INKS are NOW available!! 1. Krafty Girl Deborah! 6. Krafty Girl Alexis! 11. Krafty Girl Jessie! 2. Krafty Girl Mindy! 7. Krafty Girl Larisa! 12. Krafty Girl Delphine! 3. Krafty Girl Melanie! 8. Krafty Girl Marilyn! 13. Krafty Artist Becky! 4. Krafty Girl Keri! 9. Krafty Girl Marieke! 14. Krafty Mom Diana! 5. Krafty Girl Sabrina! 10. Krafty Guy Stephen! Hey all! Welcome back to day 3 of previews for Kraftin’ Kimmie Stamps! Today’s set is called From the Otter Side! I freaking love these otters! They are absolutely adorable! Check out all the fabulous furry friends in today’s hop! See FROM THE OTTER SIDE in action in creations by our amazing Design Team!